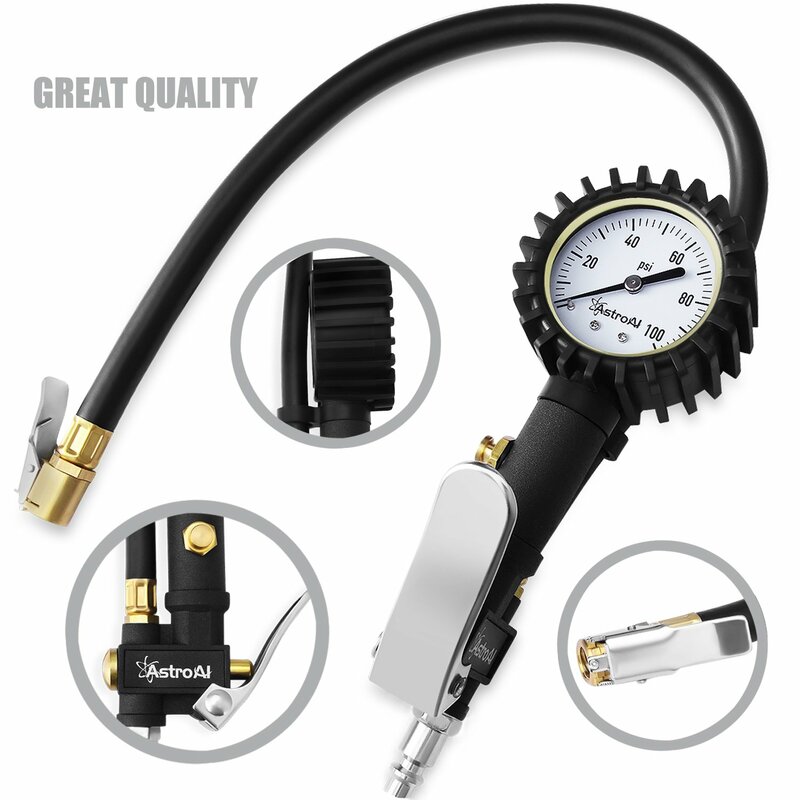 Professionally calibrated to always return a reading for your tire. 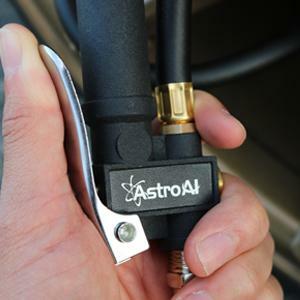 No more guessing. 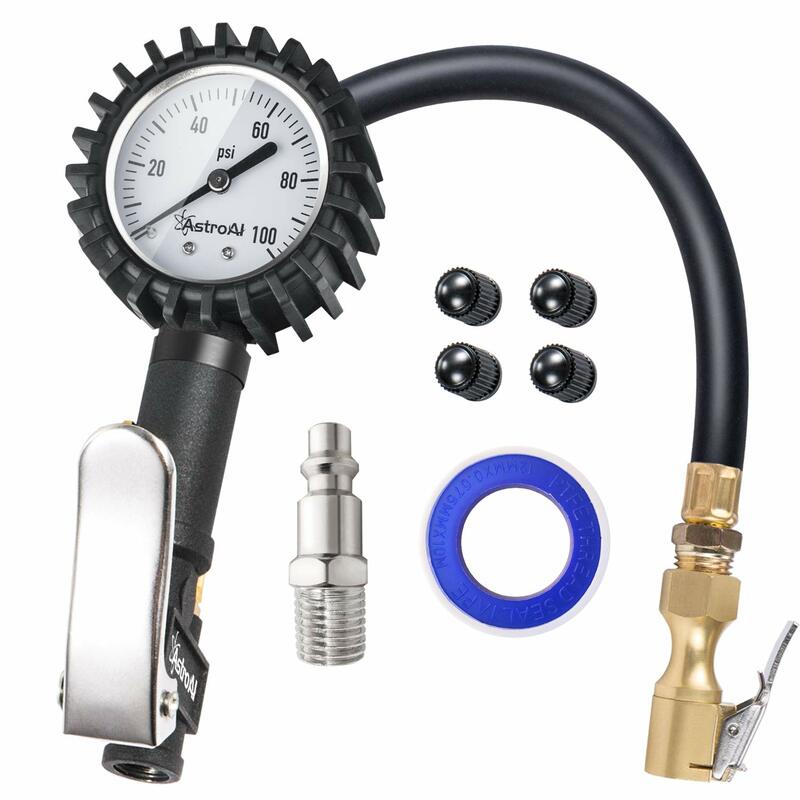 An inflation gun, chuck, gauge, hose, and bleed valve, all in one unit. 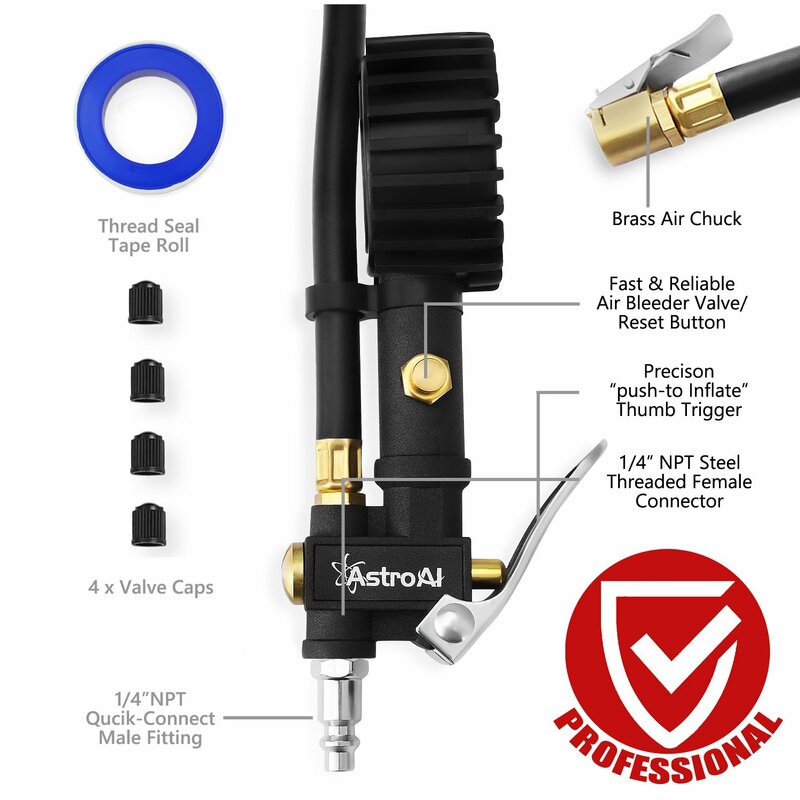 The AstroAI 100 PSI Tire Inflator Gauge makes filling tires extremely easy when using an air compressor. 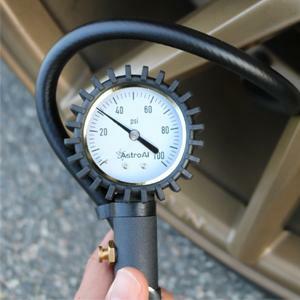 Instead of filling a tire, check the pressure, adjusting, checking, and repeating over and over again, simply fill the tire to the exact pressure you want. 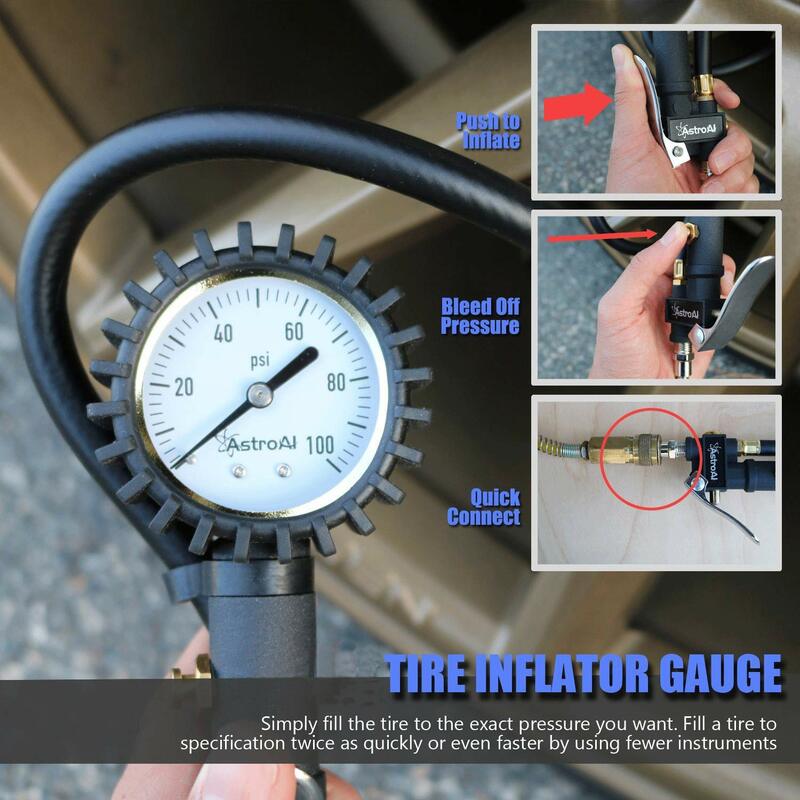 Fill a tire to specification twice as quickly or even faster by using fewer instruments! 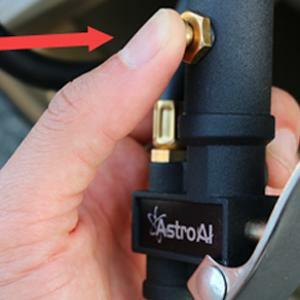 Save time and just fill it right the first time. 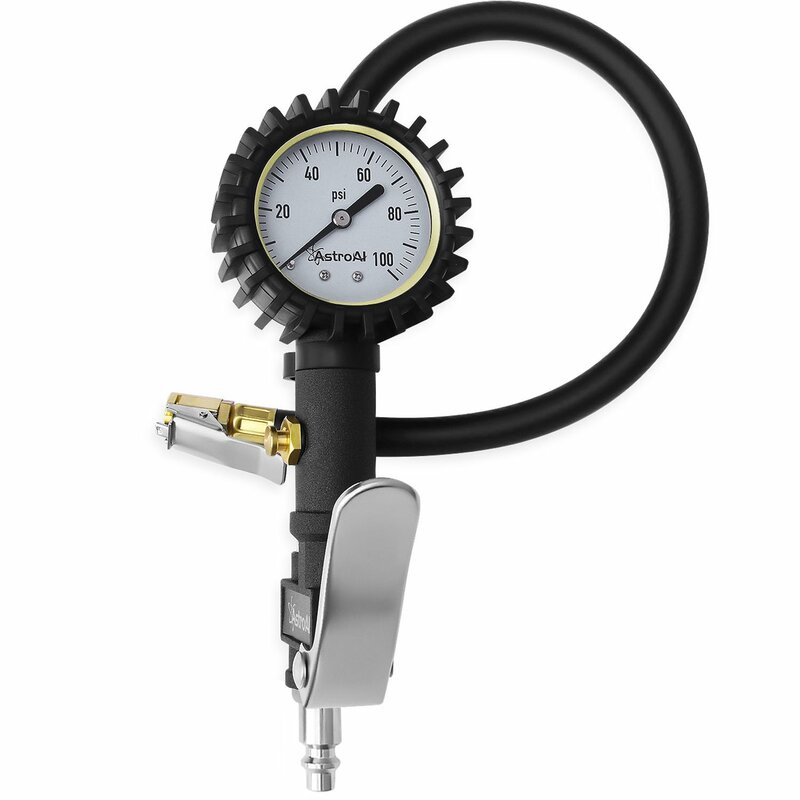 The first thing you'll notice about this gauge is its weight; only high quality stainless steel and brass was used to provide an extremely heavy duty inflator gauge that can easily handle up to 100 PSI. 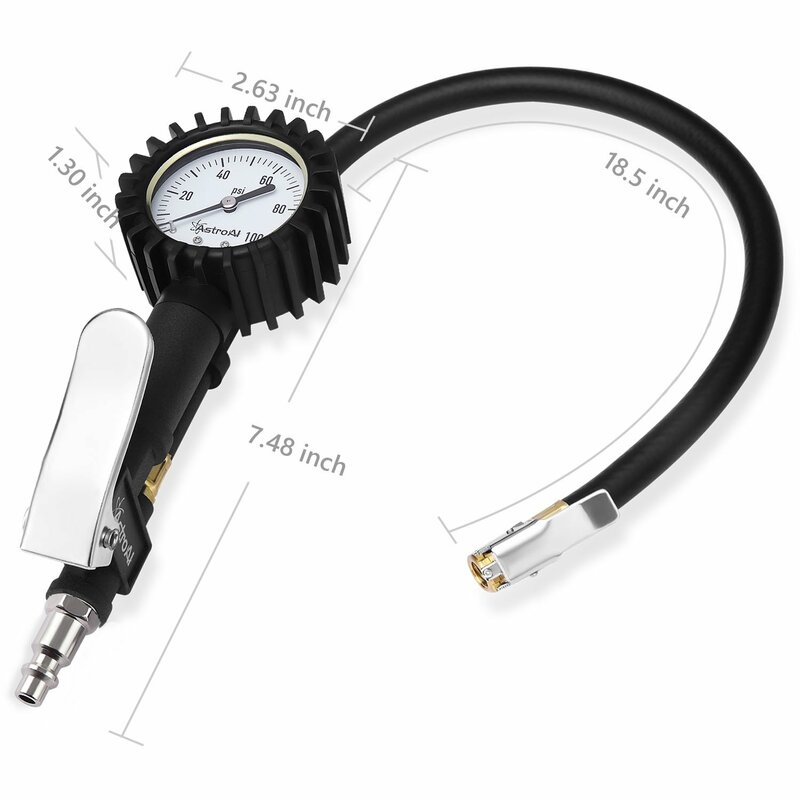 The rubber hose is insulated and extra thick for superior performance.